Rounding out my list of projects for 2018 with one last collaboration — I’ve teamed up with The Tray Shop to produce these beautiful timber trays! I met Rickard from The Tray Shop a year ago at The Big Design Market in Sydney, we were stall neighbours and chatted briefly about working together on something special one day in the future. Just a few days out from The Big Design Market Sydney for 2018, we’re releasing our little collection together, and will be back as stall neighbours again! There are 3 trays in our little ‘Aus-Tray-Lia’ collection (and how could we resist such an appropriate pun!) and they’re all perfect for Christmas gifting. I’m dreaming of the perfect pavlova presented on this platter, or a mountain of rum balls — my idea of a Christmas miracle! All of the trays are handcrafted in Sweden, with layers of FSC-certified timber, and a melamine top coating to keep them in the best condition. 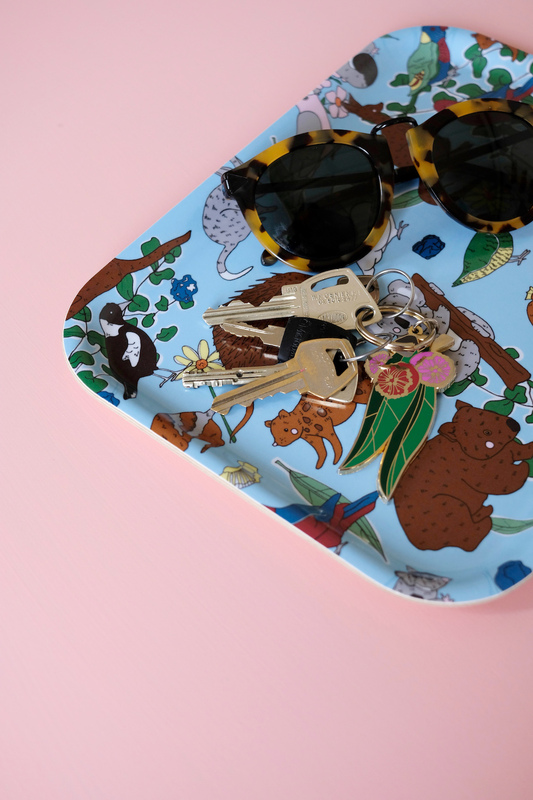 Available only from The Tray Shop, online and in person this weekend at The Big Design Market Sydney!